This beautiful wine farm is situated in the unspoilt countryside between Siena and Grosseto (about 40 km south of Siena). Here you can relax and enjoy the view, the panoramic swimming pool, the delicious breakfast and home made dinner in the restaurant with good wines of their own production! In a little more than a half hour drive you are in Siena and in less than an hour you are at the beach. This makes for a perfect combination between nature, city and beach. The agriturismo is surrounded by vineyards and they have created a path of 4 km, so you can walk through the property. On request they organise a short tour of the vineyards (free but in advance reservation needed). In the nearby wine cellar of the agriturismo it is possible to have a wine tasting (starting at 10 € pp) and on request they organise cookery courses in the restaurant. Feel free to ask the owner more information! The agriturismo also has a number of mountain bikes for its guests. 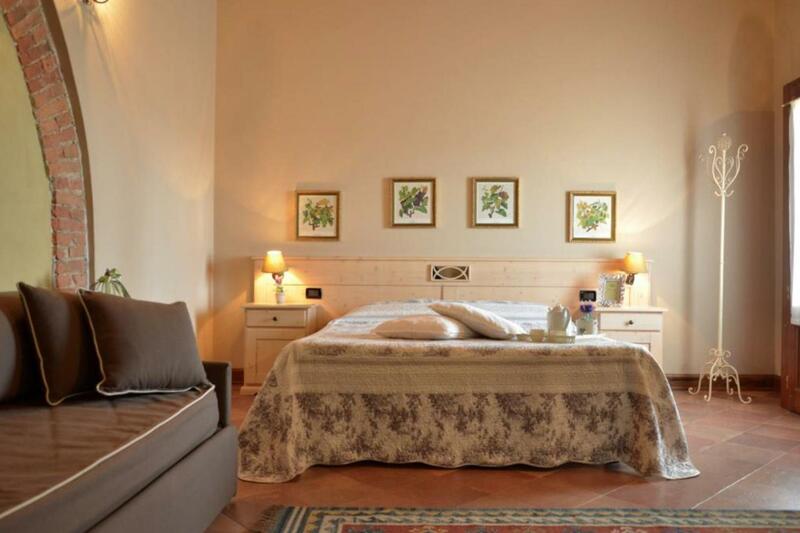 The agriturismo has eight rooms, four of which are on the ground floor and four on the first floor. 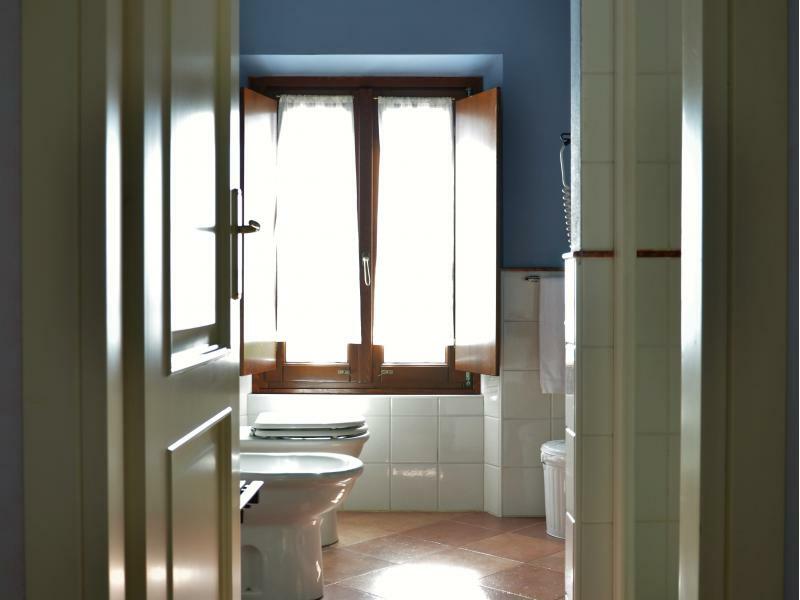 There are two family rooms (up to 4 people) and the other rooms are suitable for 2 persons (with a maximum of a third person). The rooms are equipped with air conditioning, Wi-Fi, TV, minibar and a hair dryer. In good weather breakfast is served in the garden of the agriturismo, between scented lavender and other fragrant herbs. In the cozy restaurant they serve local homemade specialties. On request they are also open for lunch. If you do not feel venturing out for the day, you can stay at the agriturismo and indulge yourself in great wines and good food all day. 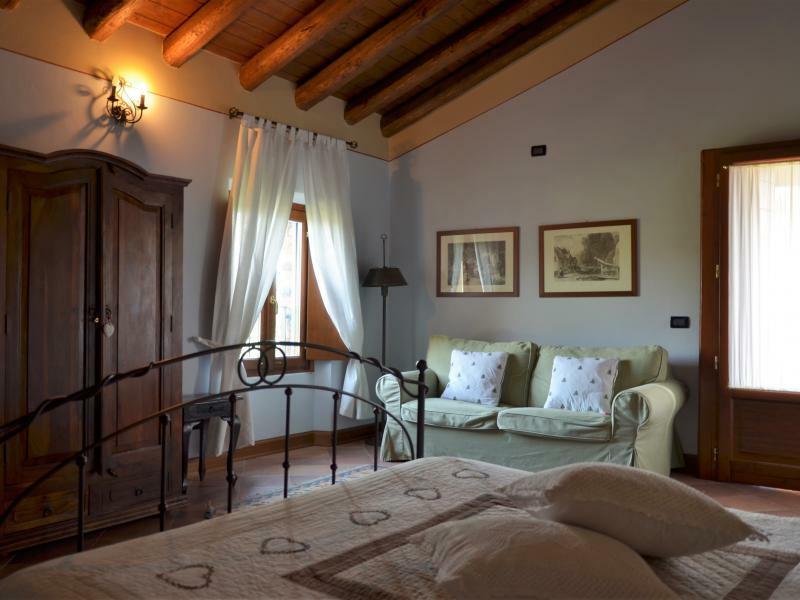 Lovely quiet agriturismo for lovers of fine wines and good food. Ideal to escape the hustle and bustle of everyday life and just relax! Room with double bed (or two single beds) and a private bathroom. The room is equipped with Tv, air conditioning, mini-bar and wifi. On request two extra beds can be added. Room with double bed and a private bathroom. On request three extra beds can be added. Room with double bed, sofa bed and a private bathroom. Room with double bed (or two single beds), seating room with double sofa bed and a private bathroom. Prices are per room per night per 2 persons, including breakfast and air conditioning. Cot (up to 3 years) free. Third extra bed: € 35 per night. Fourth extra bed: € 25 per night.